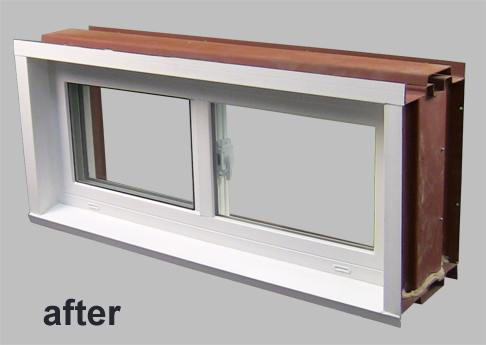 The strategically engineered profile will transform any unsightly basement window opening from a source of drafty energy consumption into an eye-appealing energy saver. 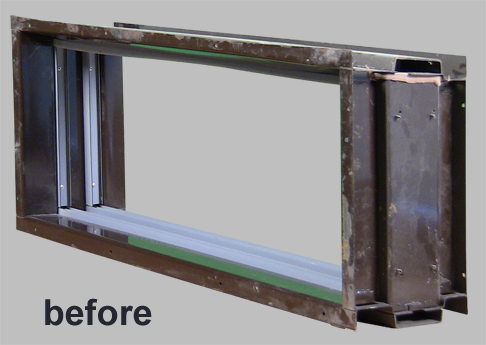 The design works well as an insert for the old steel basement windows, but they can be made to fit any existing basement opening without the expensive custom up-charge. Removable wood support for reinforcement inside vinyl frame.